In the same way as seat selection and APIS, Web-Check-in can be enabled by route. After the customer has made the preceding steps of Seat Selection and Advanced Passenger Information, they may the check-in all or some of the passengers in the booking. When someone checks in online the system automatically lifts the electronic tickets of those passengers. Passengers checked-in online will automatically show in the Airport Departure Control System. The Boarding pass includes a 1D or 2D bar code image for scanning. The image contains the passenger name, flight number, route, check-in time and departure time. The image can also contain information regarding security such as luggage restrictions and articles not permitted for flights. Real Time Check-in. Real Easy. Now your passengers can relax, check-in at home and know they will have the seat they want with the added comfort of a boarding pass in their hand before they even leave for the airport. The internet booking engine can be configured by the airline to allow online check-in at any pre-defined time prior to the flight. The configuration is set up by departing city so you may want to allow online check-in up to 24 hours in advance of the flight for those airports where you send Passenger Name Lists at 24 hours prior to the flight, while allowing online check-in to continue up to the time of the flight where you are using the Videcom DCS which is fully integrated. Because both the online check-in and Videcom DCS are fully integrated and working from the same Eticket database any changes made in either system are immediately visible in both systems. So when a passenger checks-in online at home the check-in staff can see straight away they are marked as check-in online. 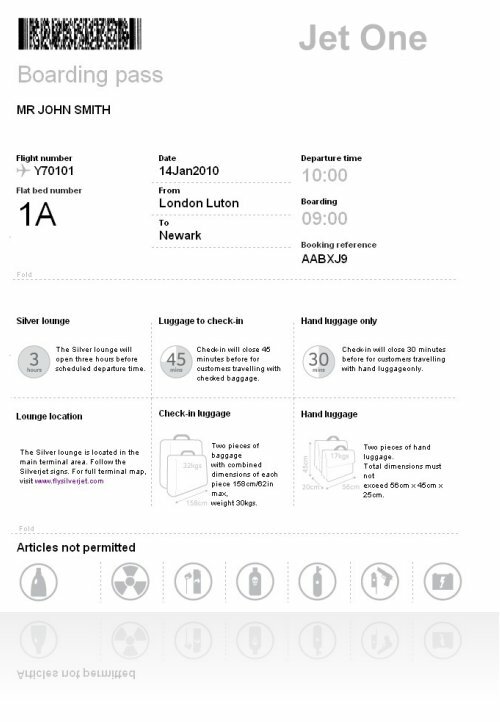 The online boarding pass is configurable so you can fine tune the information displayed to your passengers. By providing an online check-in service to your passengers you can reduce the processing time at the airport as well as reducing the staff required at check-in desks. Improving the service to your customers as well as reducing overheads. Offer a higher level of service to your customers by allowing them to select there seats on the aircraft from our real time dynamic seat map. The passengers are displayed a graphical seat plan of the aircraft showing all the amenities available which not only provides them with the exact choice of seat from those available, but will save your staff valubale time during check-in at the airport. Seat plans are set up in the central system for each aircraft where your system administrators create each aircraft configuration that you have. When the passengers start the seat selection process the actual seat plan which has been allocated for that flight is displayed with all necassary updates including occupied seats, seat which are blocked in tghe departure control system, seats which require payment prior to requesting and seats which are not suitable for different passenger types such as infants and children. The seat plan is displayed showing all the passengers in the booking and from there the user will scroll down the aircraft to view which seats are availalable and which ones are either occupied or blocked. The icons of the passengers are then selected and placed in the seats required clearly showing the seat numvbers and the position in the aircraft. As soon as the seats are confirmed the seat numbers are updated in the central seat plan for the flight and date of the booking and the seats are recorded in the PNR. In real time, these selections are then visible in the departure control system at the airport or they are sent on the PNL to your handling agent. VRS allows you to pre-program in all the meal types that you offer on board from standard IATA meal codes to special meals that you want to offer . They can even be grouped into categories so that you can display them to your customers in meal type preferance. All meals booked online are stroed in the bookings in real time and distributed to your caters with automated messaging at a pre-defined time before the flight. An email can be sent automatically to an unlimited number of recipients displaying the names and seat numbers of all the passengers that have pre-ordered meals and the total number of passengers on the flight broken down by passenger type. If this information is required for the route the system will not allow the passengers to check-in online without first entering theses details. These details are then stored in the database ready for transmitting to the relevant authorities.